Years ago I went to an Edvard Munch exhibition, the contents of which spanned his life. I will never forget the room dedicated to the development of The Scream, it’s a picture which repeated itself throughout his life, but it was one of the first sketches of it, made when he was young that really haunted me. The original drawing showed a child standing in front of a bed, hands to face, mouth opened in horror and terror in its eyes. On the bed behind the child laid their mother who had just died. Edvard was only five years old when he watched his mother die of tuberculosis in 1868 That drawing haunts me to this day, he drew it over and over again. The famous 1898 picture has taken the fear and the horror from that child, and transferred it to another place – blood red sky, a bridge, but the emotion is the same. The saddest part, when you think about it, is that terrifying childhood thing, to, as a five year old watch your mother die, and quite horribly, was carried with him, was transplanted to wherever he was. It’s a painting that has so many layers if meaning to it but this one speaks to me the most. That monsters-under-the-bed fear of something terrible happening to your parents, and that fear coming through. Now why you’d want that hanging on the wall is beyond me! To end on a happy note, some of Munch’s last works were of green grass and blue skies with white fluffy clouds. His style completely changed in terms of content, suggesting that he found some peace. I so hope he did. 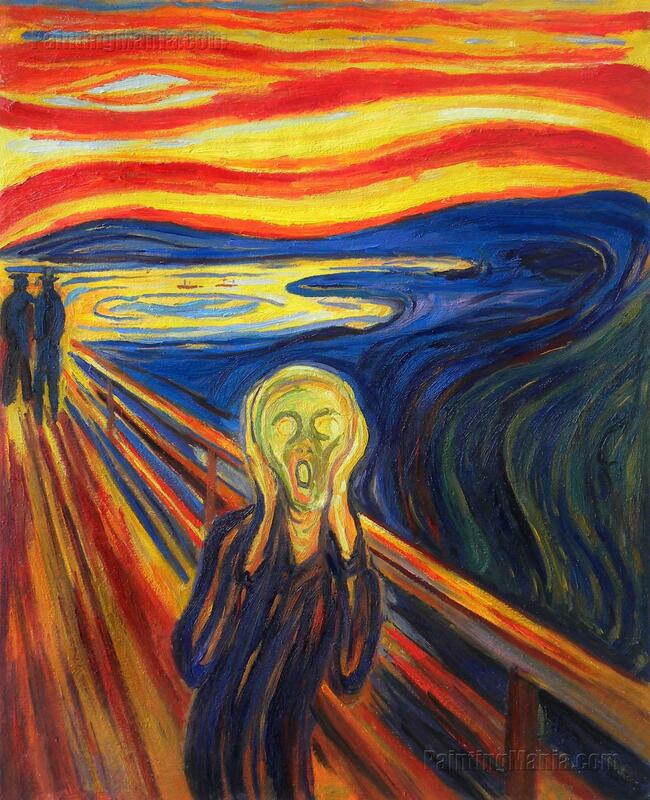 That worst-fears-realised painting might have gone for over 100 million dollars but I like to think that Munch would have given all of his talent, fame, and money that he made, to have never had to paint that painting.